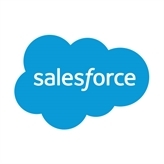 As an Automation Software Engineer on the Salesforce Mobile team, you will work with a team of smart engineers to design and own the cross-team automation and quality strategy. You will be involved in writing and reviewing code, giving suggestions around improving quality of the products that are shipped. Given the high visibility of this role, you'll be expected to work with several cross-functional teams. Supported operating systems include: iOS, Android, and Windows.